The dramatic footage above shows firefighters battling a van fire in Wisborough Green this afternoon (Tuesday January 20). A spokesperson for West Sussex Fire and Rescue Service said a pair of one-litre gas cylinders on board the van exploded prior to the arrival of firefighters, causing the vehicle to go up in flames. The spokesperson added the van was ‘well alight’. 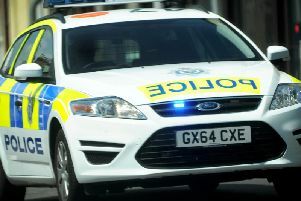 Emergency services were called to the A272 School Road near the Three Crowns pub at about 4.10pm. Firefighters used two breathing apparatus and two high pressure hose reels as they battled the blaze.